I have had a need lately for modifying screws, fasteners, small round stock items with no real length to them, the three and four jaw chucks I own are around the 6” size and the jaws are quite deep, this interferes with work holding for example: if I needed to machine the threaded end of a hex-head bolt the head would be the piece being held in the chuck jaws and this would be unstable to machine. Sets of these can be made to fit your 4-jaw or 3 jaw chucks skies the limit really. Here you see a up close shot of a 8=32 brass knurled head thumb tack screw being held tight with the head positioned flush to the jaw face giving a nice perpendicular hold to the piece. 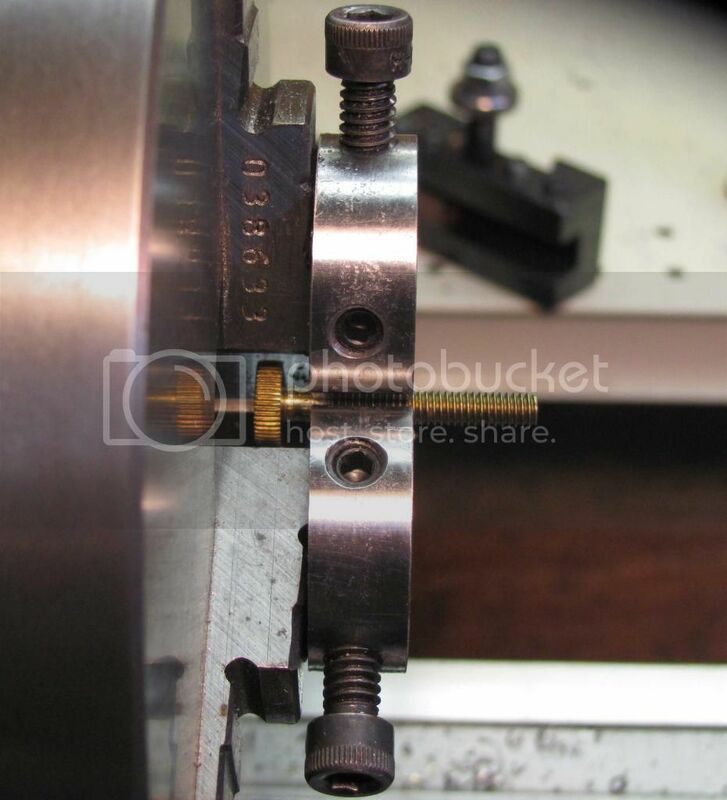 Here on this shot you can really see the advantage of this set up, the head has the clearance through the jaw length to be seated so the opposite end can be machined, you can even draw it up to the inside step to use as a depth stop, or place a depth stop from inside the chuck because now the jaws are opened. I decided on this set of mini jaws I wanted a 1/8 Diameter hole put through, I did this by drilling a pilot hole then reaming the hole out to size, (the jaws were fully closed on the chuck and there was no hole in new set of mini jaws to begin with) I am only going to use this set for ¼-20 and below size screws and this diameter is a nice comfortable fit for these size screws. These are made from stainless steel but any material can be used. If made out of carbon I would suggest hardening them. while facing on the jaws to thickness I noted the jaw number and stamped each jaw the same for future location in use. 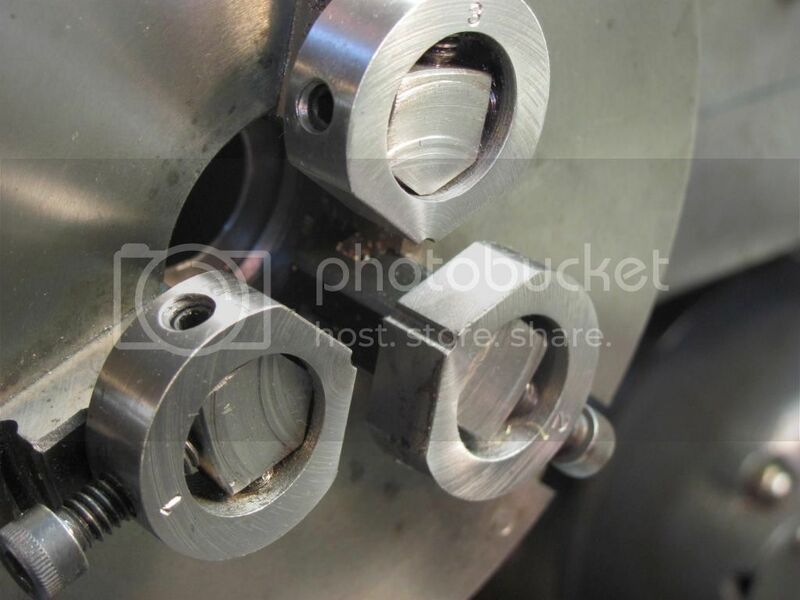 If a larger radius is needed on mini jaw surface, tighten all three mini jaws down to chuck jaws securely, open the chuck so a 1” diameter washer can be fitted behind the mini jaws and located on the original chuck jaws and tighten up the chuck, now the chuck is tight and the mini jaws are in an open position, with a boring bar bore very softly in taking the edge off and produce a wide round profile on jaw tips. 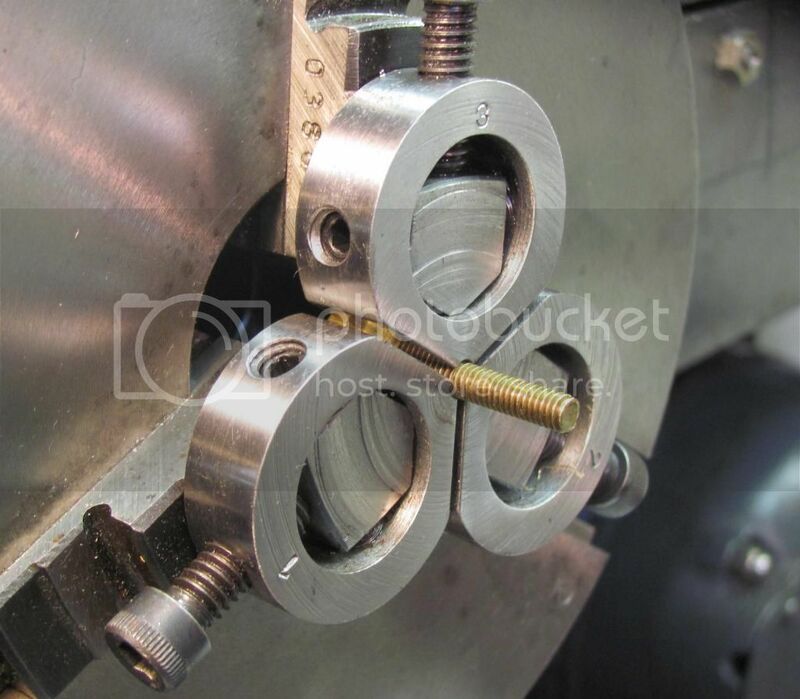 To install the jaws for the first time, place mini jaws on chuck jaws, slightly tighten up to locate all three, with a mallet while at the same time as turning the jaws apply a slight tap to locate jaws into place the jaws now have been self-centered. Now seat the side grub-screws leaving the top screw till last, once all three screws are set take a facing cut, then unscrew one side screw on each jaw, then reverse the jaws and tighten up the side screw you just relived, take another facing cut, the jaws are now seated. punch stamp the jaw number on each. Removal is release one side screw (the same on each jaw) then release the top screw and take off, install is just a reverse, colouring the grub screw would it easier to remember what one has be released. A well thought out solution. WOW! I like those jaw adaptors. A very useful idea Anthony, and well described. You mention using paint to identify the grubscrew that is loosened; could that grubscrew be replaced with another capscrew? I can also see a use for soft jaws of brass and aluminium. Here's a set I made from your idea, thanks, as you can see made mine from hex bar, gives me the resource to use all 6 corners.. within limits of course. i see from your picture your an oil man? mee too. Interesting chuck adaptation and excellent photos. Has given me food for thought for special chuck applications – thank you. Avoids spending money on commercial chuck products. I never throw away good chucks from broken electric drills. They can serve a similar purpose of holding small items without obstruction. Unlike your masterpiece Anthony, ordinary chucks have a very limited capacity for holding screw heads inside the chuck. 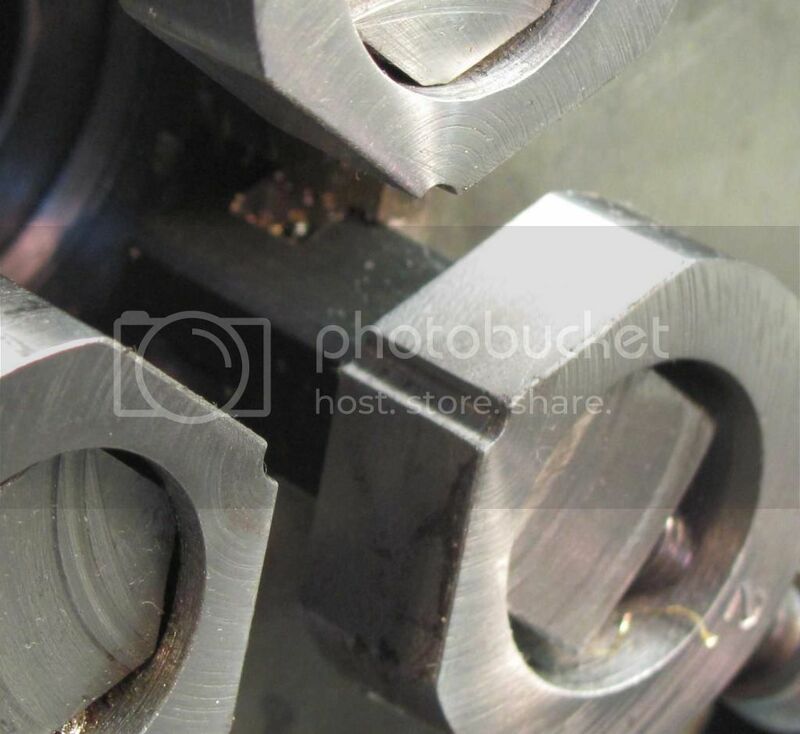 Just remember that if held by the outer (knurled) sleeve, it could be less accurately concentric, and a high cutting force could possibly unwind the jaws of the smaller chuck. So, if it has a shaft of some sort attached to the main body, use that. 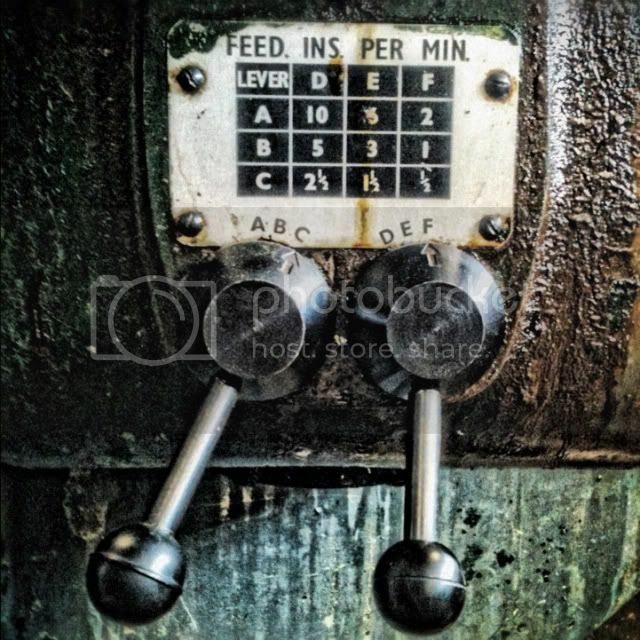 If the shaft has a morse taper that you have no use for, machine it parallel. When clicked on, your pics only show a portion of the original. Your pics need re sizing before posting, see details in GALLERY -- Photo re sizing by - Divided he ad. It is quite easy and most newbies need to do it when joining the forum. I've just posted an article headed 'centre marking . . ' in which I have been very pleased to follow your advice and link to the resizing app. Excellent. Is there any way one can review a post to include attachments before posting? Also, how long do postings allow modifications before that option disappears? When you preview a post before posting, any attachments made to it do not show up. Once the post is posted then it shows up in the post. There is a short time (a day or so) that you can edit the post. If you can no longer edit the post get a hold of one of the Moderators and we will help you edit it. Thanks for the info Don. Sorry to ask my questions in an old thread. 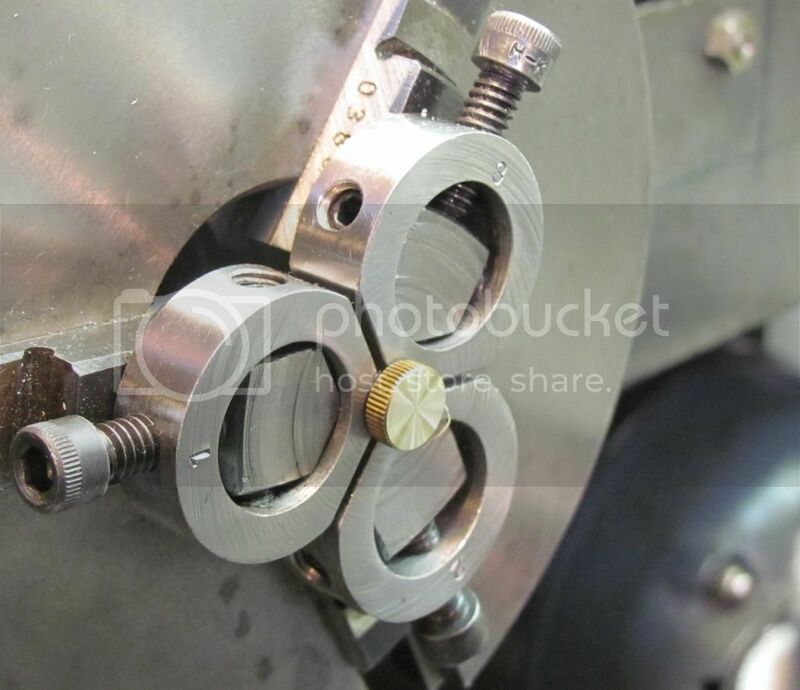 I'm looking for solution(s) to hold not so square stocks in my 4-jaw scroll chuck (or called automatic chuck by the manufacturer of my lathe) when I remember this thread. I reckoned that I only need to make 2 pieces; one for each opposing jaw. 1) how do I size up the stock to use as the jaw, ID and OD? 2) what would be the angle of the faces if I'm to make one for each of the 4 jaws? 90-degree? Does it matter if making only for the 2 opposing jaws? 3) I would like to make the jaws a little taller to provide better hold for facing and drilling through. Will that cause the part held in this manner unstable? To arrive at the correct OD and ID I think you'll have to draw out your chuck jaws and draw the new jaw around that. On a 4-jaw you would only need 2 jaws and wouldn't need to angle the ends. You could use square or rectangular bar. I wouldn't extend the jaws above the original jaws - it would, as you say, be unstable. I made some for my 3-jaw but I also have a self centering 4-jaw and will have a go at making a pair for that. Machining soft jaws on a 3-jaw to clamp a diameter isn't that straightforward as you can't easily measure a diameter when there isn't a diametrically opposite jaw. This is easy with 2 or 4 jaws. A very good idea and something I can use for some jobs. Thanks for the idea. I'm not a fan of holding hex socket head cap screws by the head OD, but seem to have to do it often. This will eliminate those problems. 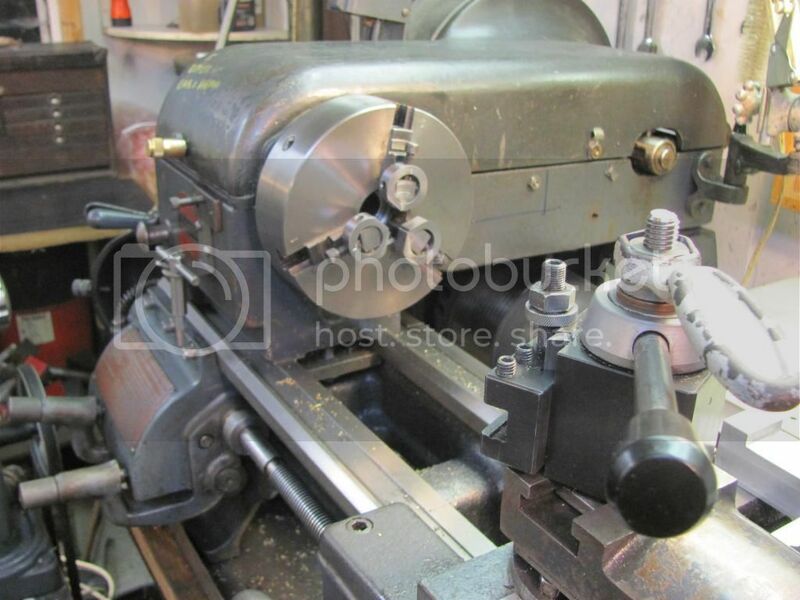 I also like the drill chuck in the lathe chuck idea. I just found a box of old drill chucks while cleaning out my dads garage this weekend. Some are very old and look to be good quality. My new Bison 6" chuck wont hold anything under 1/16", so this will come in handy for the odd part.